There is another civil war happening right now in America. Yet, it is not a war of guns, but one of horsepower. 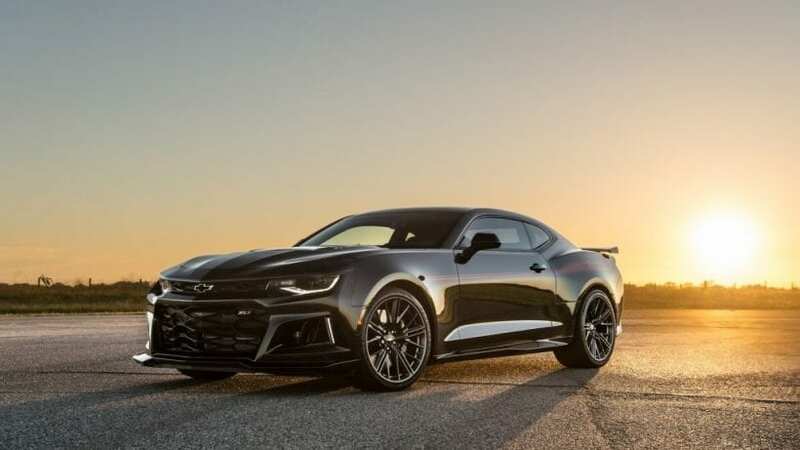 We have Camaro ZL1 carrying same stuff under the hood as Corvette pumping 650 hp, we are eager for the arrival of Mustang’s top iteration GT500 imagining similar figures, and we have totally berserk Dodge Challenger Hellcat and its 707 hp. For some, that was not enough, and Dodge dared to launch Demon with all of its 840 hp. We don’t know what precise demon Dodge had in mind, but it got to be some exceptionally vicious one as those figures surpass Italian things like Aventador and 812 Superfast. There is a saying that for everything there is a cure, and 2018 Hennessey Exorcist Camaro ZL1 could be one of them. At least the name fits the intended function. Yes, you will be blown away, when we say how much hp this thing packs under the hood. 1000! Which is 350 more from already insanely powerful ZL1. You guessed that 6.2-liter supercharged V8 had to see lots of upgrades for that kind of game and it did. There is new high-flow supercharger pushing more air to the engine, updated intercooler, new valves, both intake and exhaust, with upgraded springs and retainers, along with new lifters and pushrods reminding us that this V8 gem is old school pushrod thing with camshaft located way down next to the crankshaft. Besides horsepower, the tuner hasn’t disclosed other figures precisely, but it said that acceleration time is below magic 3 seconds barrier and that drag race ends in less than 10 seconds. Hennessey hasn’t bothered much about the styling, as all energy was wisely spent elsewhere as you saw. Camaro ZL1 is already mean looking thing with gaping grille, hood vent, rear wing, quad-exhausts, and rest, but for this kind of newfound power, it appears as a sleeper. Famous tuner just painted it black, decorated it with red lettering, put special floor mats on the inside and left it alone. As the name says, Exorcist is here to confront the biggest Demon of them all. That also means that this thing is a quarter-mile destroyer, but not lap times specialist and that is why you can have it with $9k drag pack with upgraded drive shaft, drag radial tires, and some other stuff. This is not the first drag oriented thing as we had cars like Mustang Cobra Jet and Copo Camaro, but only Dodge Demon came as road legal thing that you take grocery shopping between drag days. Exorcist has just made a choice wider. For anything else, we are obviously talking here about too much uncontrollable power for cornering, but if any mainstream platform in the world could try to handle that, it would be GM’s Alpha one. First, you’ll have to cash out $62k for regular Camaro ZL1 and then to get 2018 Hennessey Exorcist Camaro ZL1 additional $55k. Despite the fact that it is offered with two years and 24,000 miles guarantee, it’s a lot. With mandatory drag pack, you are reaching almost $130k for which you can buy one and a half Demon. Although Exorcist has more power than Demon, we don’t believe it could beat one on the drag strip, purely because of extremely complicated technological marvels happening under the Demon skin every time it launches itself. But what if we take a look at it from another angle. Put the drag pack and those aspirations aside, and you have tremendously cornering capable ZL1 with the nuclear bomb under the hood. 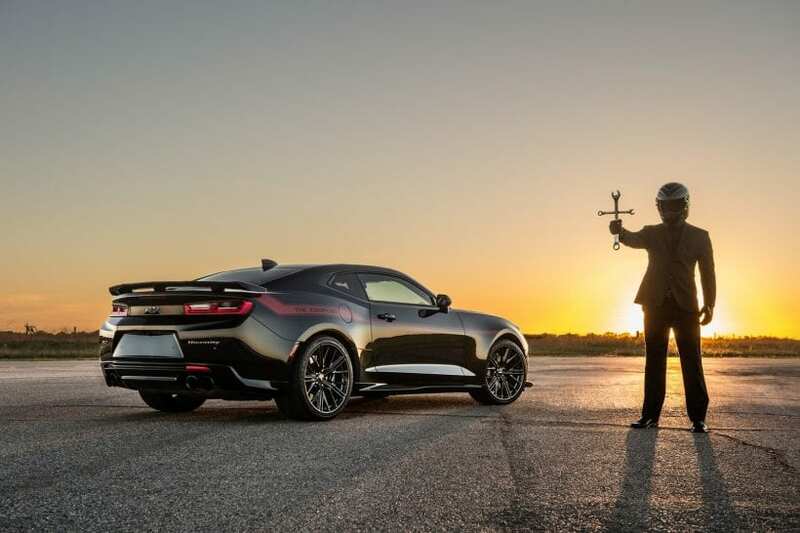 It will rip apart everything between street traffic lights, possibly including Demon not having enough time to follow complete launch procedure, and it could be still relatively manageable on the track or backroads, unlike Hellcat which is unusable even with 707 hp. So, it makes you wonder, right?